If Twain were around in this era of journalism, he would have to modernize that quote to reflect this age of digital media. You see, ClarkCountyToday.com doesn’t purchase any ink to print newspapers. We rely on more efficient ways to provide Clark County residents with the information they can’t find anywhere else. And, on occasion, our efforts are buoyed when other media outlets are nice enough to promote those efforts. To my knowledge, we were the only media outlet to cover one of the three 18th District Legislative Town Halls held April 14 around Clark County. Reporter Eric Schwartz and Photographer/Videographer Mike Schultz attended the town hall held in Battle Ground that day, which was hosted by Sen. Ann Rivers and Rep. Brandon Vick. You will see the story covered a myriad of topics discussed at the town hall. In one of those topics, located near the end of the story under a subhead entitled “Property taxes and ‘a perfect storm’,’’ Rivers addressed the reasons why Clark County residents experienced substantial increases in their property taxes this year. Instead of taking responsibility and being accountable for her role in raising taxes, she took the opportunity to blame the Clark County Assessor’s office. 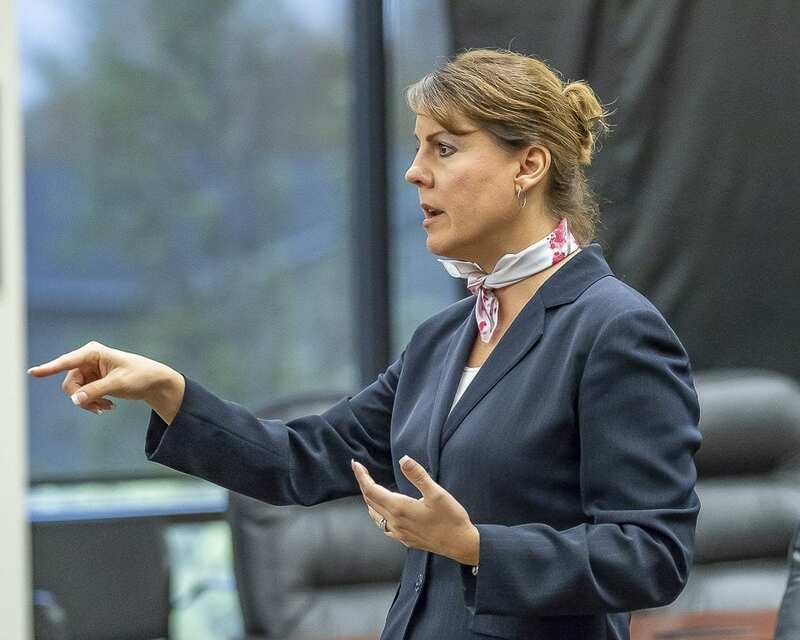 Rivers claimed that poor property assessment practices at the county level, and subsequent corrections increasing the value of Clark County properties, have played a role in the increase of property taxes. Rivers said the assessor’s office undervalued property in Clark County for a long period of time and that the correction to those numbers came at an unfortunate juncture. “The correction has happened but unfortunately it came at a time when other bills were coming due,” Rivers said at the meeting. Rivers’ comments spread rapidly throughout Clark County. They were a hot topic on social media, including a harsh reaction from one of Rivers’ fellow Republican lawmakers — Rep. Liz Pike. 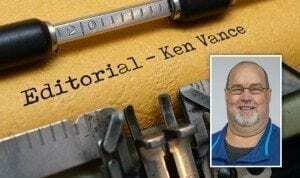 ClarkCountyToday.com Editor Ken Vance offers his perspective on the recent performance and voting record of Sen. Ann Rivers. Thomas was able to get Rivers to comment on the very public dustup and the senator wasted no time doing what she does best — she blamed someone else for her own actions. I challenge Sen. Rivers, and anyone else who is concerned about our coverage of the town hall meeting to review the video for themselves. Links are provided here to her specific comments about the Clark County Assessor’s Office and to the entire town hall meeting. You will see and hear that Rivers actually compares the Clark County Assessor’s Office to being operated like an incompetent business owner operates a small business. You will hear that a citizen then asked her a follow-up question about who is responsible for the poor property assessment practices that she claimed had taken place and Rivers interrupts her briefly by answering, “the assessor, the Clark County assessor’’ without naming Assessor Peter Van Nortwick by name. First of all, nobody at the town hall meeting asked Rivers anything about the Clark County Assessor’s Office or their property assessment practices. She made it a topic all on her own. In addition, the comments by Rivers weren’t sensationalized by ClarkCountyToday.com. As I stated before, they were included very late in the story and they were not featured in a headline or in any other prominent way. The comments became an issue around the county when engaged citizens became angry with what Rivers said. The Columbian blog also stated that “Rivers said she did not blame the entirety of the tax hike on the assessor.‘’ The ClarkCountyToday.com report never stated that Rivers blamed the Clark County Assessor’s Office for “the entirety of the tax hike.’’ In fact, even before introducing Rivers’ claims about poor property assessment practices, the story reported that Rivers attributed the higher property taxes to “a trend that Rivers said was intensified through a combination of local bonds and levies being passed and continued attempts to fully fund education to meet the requirements of a ruling by the Washington state Supreme Court known as the McCleary Decision.’’ Our story accurately reported that Rivers said it was one of many factors. In summation, the performance of our reporter and photographer/videographer doesn’t deserve any of Rivers’ scorn. I’ve provided all the evidence here needed for any objective, rationale person to reach that conclusion. Eric Schwartz and Mike Schultz did their job and they did it well. So, senator, if you’re going to make claims of “fake news’’ or that your comments were “taken out of context,’’ you better stop and think about the day and age you are living in. This isn’t the Mark Twain era. Us digital media folks have all the evidence we need to defend ourselves against false claims from politicians like yourself. It continues to be your actions that deserve our scrutiny.